While running a jewelry store can be a challenge in it of itself, any tools that you can use to increase your efficiency and effectiveness are integral in the success of both an online business, as well as a brick and mortar retailer. One of the best tools available for your website is JewelCloud. JewelCloud is a tool that helps to organize vendor data in one location, simplifying your customer’s online experience. Product images: With the data available here, you will no longer have to take or find pictures of specific merchandise. Instead, the pictures are available through JewelCloud. Manage prices: As the data within JewelCloud updates, your own mark-ups on your website will also update automatically, allowing you to better adjust to the right price without having to do all of the legwork to figure it out. Keep updates on availability of products: One of the most time-saving benefits of JewelCloud is the updated information that you can instantly receive from vendors. All information in one spot: Keep your customers on your website the entire time to better increase the odds of closing the sale. JewelCloud will keep them from searching for products on other websites. 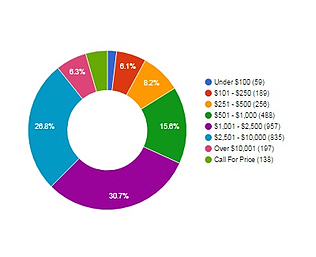 Showcase thousands of products on your website: With the data of all of the vendors available at your fingertips, you can use the data to showcase some of the most-desired pieces. Promote JewelCloud on your social media accounts: Its mobile-friendly design can adapt to any device, and with the mobile accessibility of smartphones, you can advertise JewelCloud through your social media accounts, encouraging your followers to use the tool no matter where they are. Learn about your customer’s desires: The biggest and most important feature that comes with JewelCloud is the analytics. 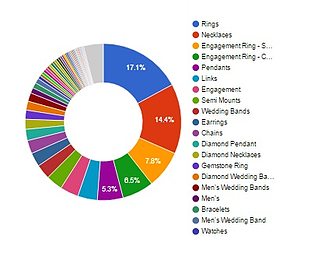 The analytics can breakdown who is buying what pieces of jewelry to help you hone in your marketing better. GemFind recently published their Annual Jewelry Consumer Trends Report, that analyzed data gathered through JewelCloud, in order to report on product trends, purchasing calendar trends, and the "most clickable" diamond of 2017! The worst thing you could do would be to ignore all of the accessible information that is right at your fingertips. Instead, utilize the JewelCloud tool to help improve your customer’s experience and close the deal. 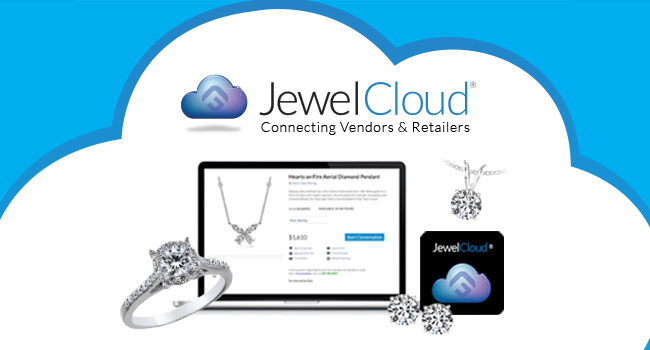 GemFind has been a leader in the world of digital marketing for jewelry retailers for years and they created JewelCloud to improve not only the retailer’s experience, but also improve the experience of your customers. Contact us to learn more about how JewelCloud can help you.